When people follow your group, it adds a card to the Logos 8 home page that is confusing Logos users. If we unfollow the group, it removes the card but I'd rather follow your group. Can you find a way to remove the card from appearing in Logos 8 when we follow your group? Can someone point me to a good starting point about how to use the Precept Method with Logos Bible Software? What would it look like for you to impact the next generation? Unlock the door to a lifetime of discovering God's Word! Check out this special offer for the month of May! 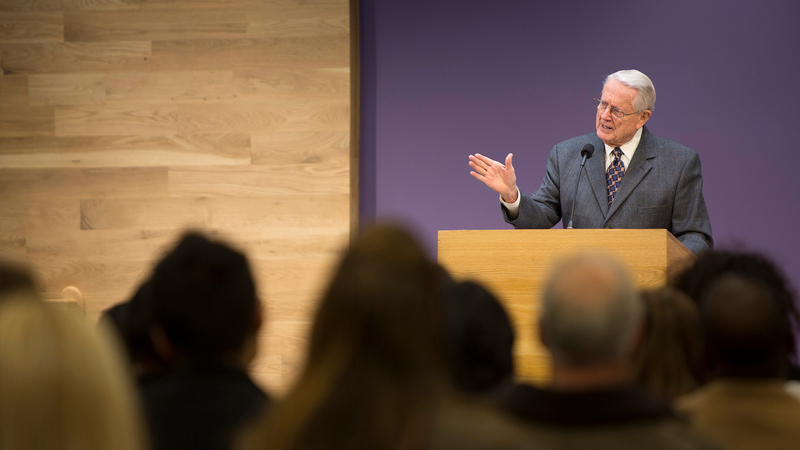 The mission of Dallas Theological Seminary is to glorify God by equipping godly servant-leaders for the proclamation of His Word and the building up of the body of Christ worldwide. Hi I am Bert. I am looking for the orientation program for the Philippians Study. How do I find it. I twas supposed to start today. The study starts on Jan. 15. If you look at the left side of the main forum screen, you should see Precept upon Precept Philippians. When you click on that, it takes you to the forum for the study. Can click => https://faithlife.com/precept-philippians-study/activity followed by clicking "Follow" to join Faithlife group, which has a posting about David Arthur's father going home to God on 9 Jan so orientation has not yet been posted. Praying for the Arthur family. I have a hard copy printed off for Philippians. I will follow along marking my hard copy so I am still feeling a part of the Philippians group. I am not familiar with Logos markings but I am sure in time I will be. I am looking to lead studies in the 40 minute series and will do Philippians first as my PuP study. Look forward to being a part of the Philippians Logos study when I am more familiar with using Logos. what is the difference between following and being a member of the group? I've been doing Precept studies at church for 13 years and want to do this online one as well. Frank I would think following would mean you see what is being said here but are not part of the discussion. Being a member of this group allows you to post and share comments. It is like the difference between auditing a course and joining the class. In one case you are more of an observer while in the other case you are an active participant. So if you want to be part of the discussion...membership would be the way to go here. Anyone here have something to add? My first go; how do I join a group? Dennis if you are interested in joining the Philippians PuP study, you will have to go to that page and click either Follower or Member. Upon making your selection you will be a member of the study group. I am Jennie , this is my first here too. Looking forward to a great study! Jennie and Yanga...this study only starts January 15th. We are all in the same boat. I would go to the Precepts website and check out their free studies to get an idea of what we will be doing here. I have spent some time over the last several months working on how to use this inductive study method and am looking to at least lead some 40 minute no homework studies.